These Pink Garden Roses have round and cup shaped opening, have a respectable vase life and open virtually flat. The fragrance is very slight, but the nostalgic shape makes up for it. Great for vase work. 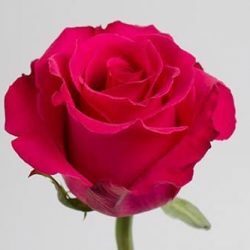 Buy Wholesale Bulk Fresh Cut Pink Mariatheresia Garden Roses Online.